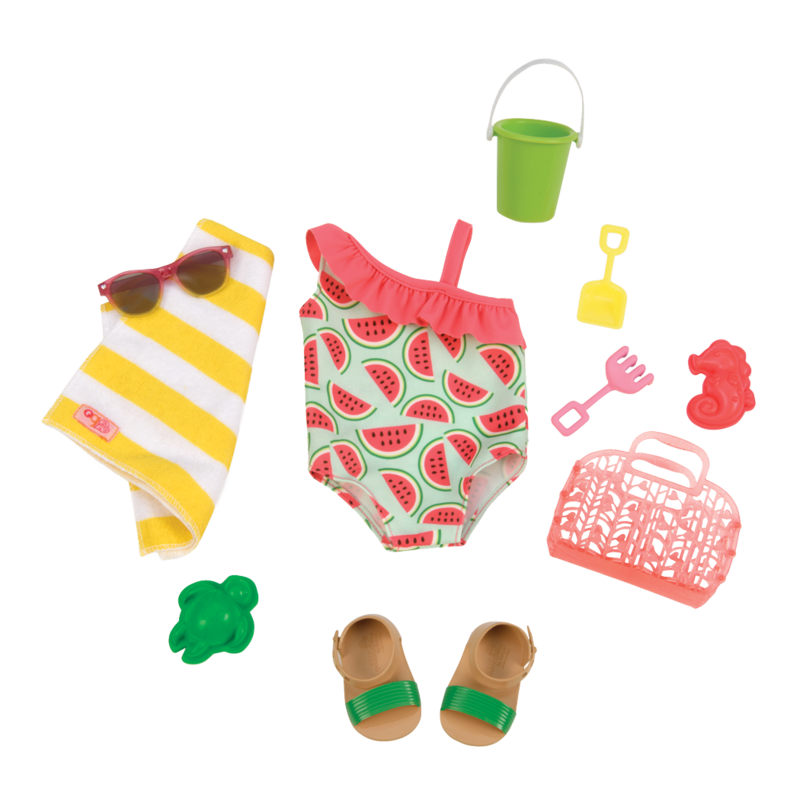 A bundle of super-fun beach accessories for 18-inch dolls! Oceans of fun and a bundle of imagination! Surf’s Up! 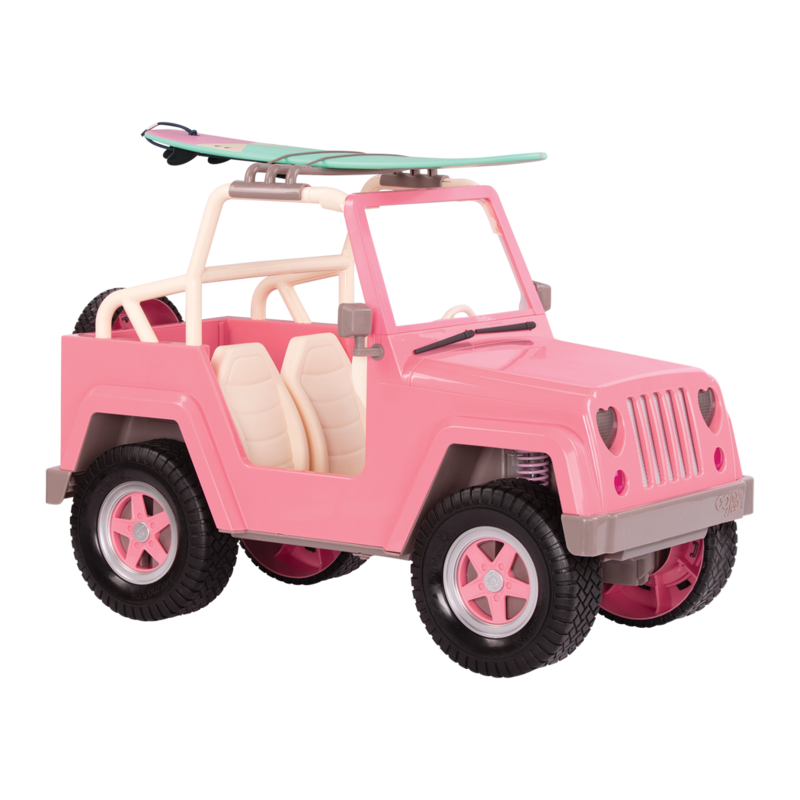 Drive to the beach and catch some waves with the Our Generation Deluxe Going to the Beach Set! 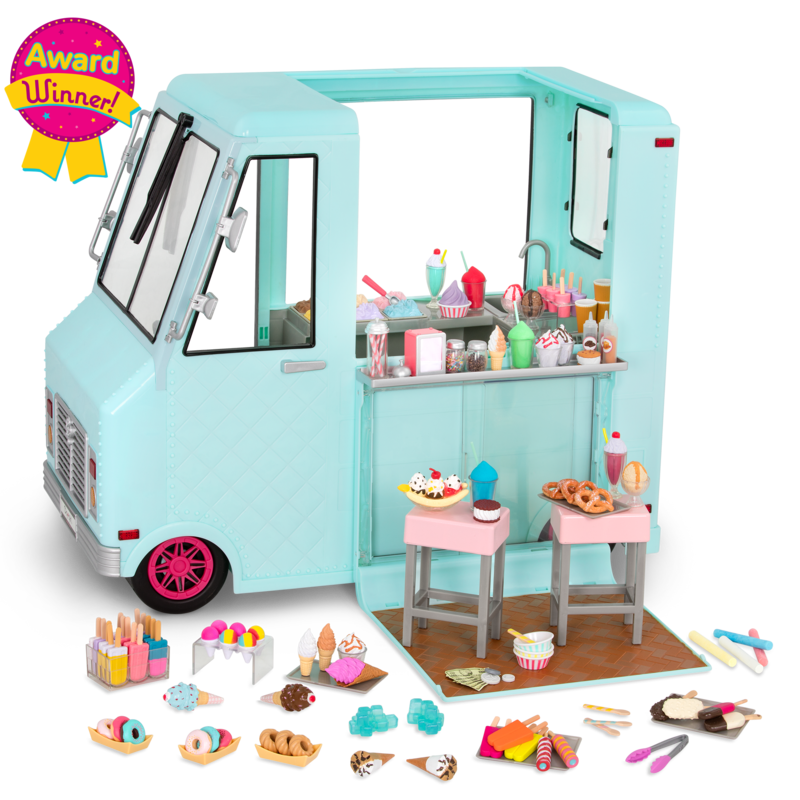 This 44-piece bundle for 18-inch dolls has everything you need for a sunny day on the sand! Stick your toes in the sand and build a castle or two! Meet Gabe, an 18-inch doll with bright blue eyes and short blonde hair, and his friend Seabrook, a beautiful 18-inch professional doll with bright blue eyes and long, straight blonde hair. 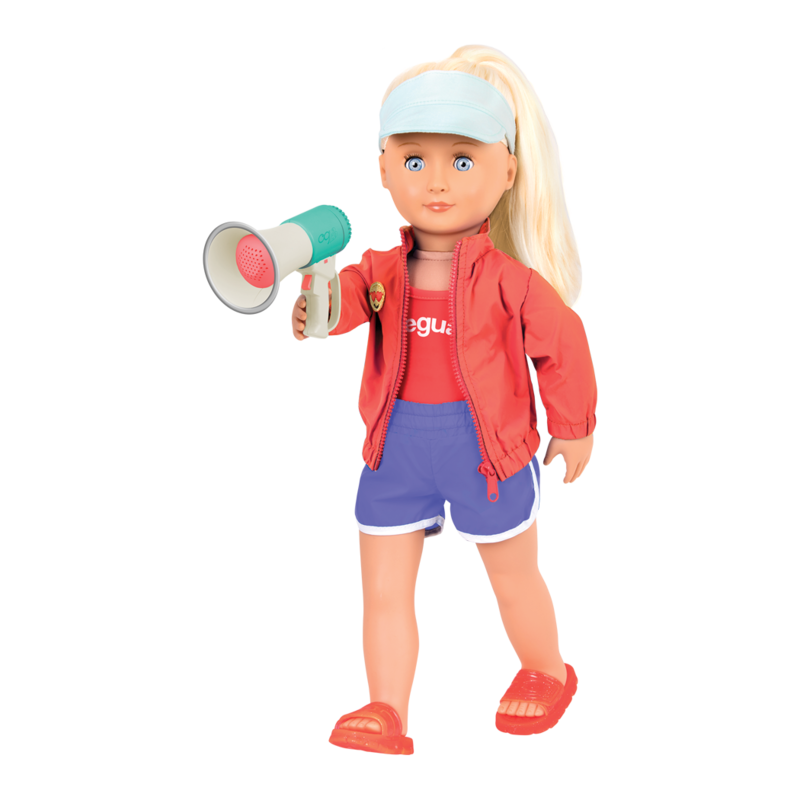 Seabrook is a lifeguard, and comes with a fun lifeguard outfit and accessories. Drive them around in the My Way and Highways Electronic 4×4 truck featuring a working FM radio with Bluetooth to play your favorite songs! The 4×4 has a surfboard rack on top, and a trailer hitch to connect with trailers and RVs. 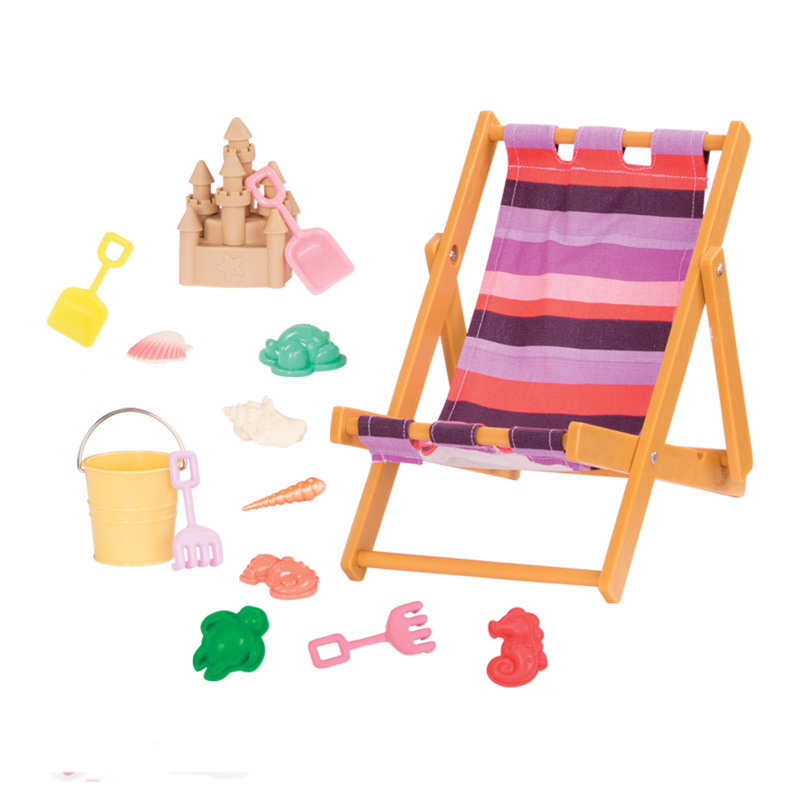 Relax in the cool beach chair, make sand castles, and have a blast with this ultimate beach set with a total of 44 parts and accessories for hours of oceanside fun! Have you met Dedra? Dedra is a beautiful 18-inch doll with curly dark-brown hair and warm brown eyes. She loves adventures at the beach! For even more fun by the sea, check out the Seaside Beach House playset, a home by the ocean with a kitchenette, pull-out bed and star ceiling projector! It’s important to remember that Our Generation dolls can get damaged if they are left in the sun or heat, and they don’t like real water (only pretend water). So please take good care of your dolls and don’t put them in real sand or in real water. 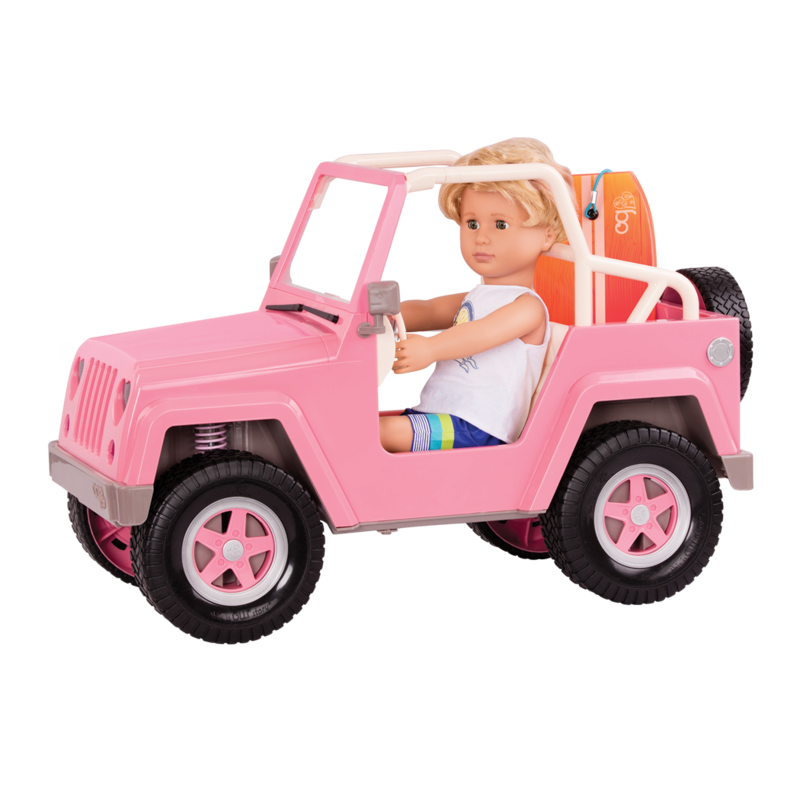 Includes 2 dolls, 4x4 vehicle, boogie board, beach chair, sand toys, & more! OG Off-Roader 4x4 vehicle has Bluetooth and FM Radio! 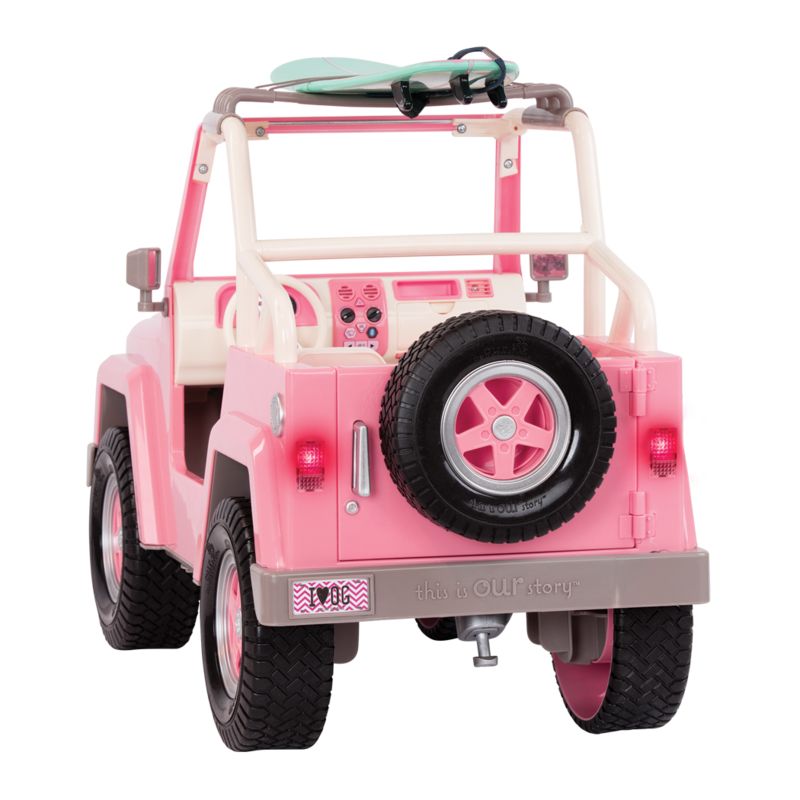 The OG Off-Roader 4x4 arrives fully assembled, so you can have fun playing with it right away! The first thing you will need to do is locate the power switch. 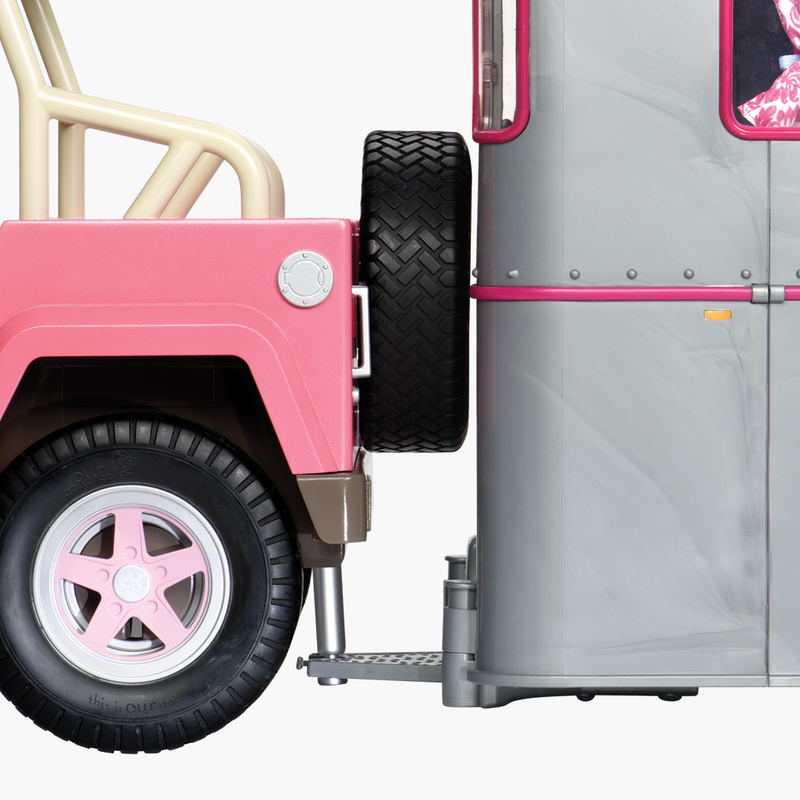 In this case, it is located on the underside at the front of the vehicle. 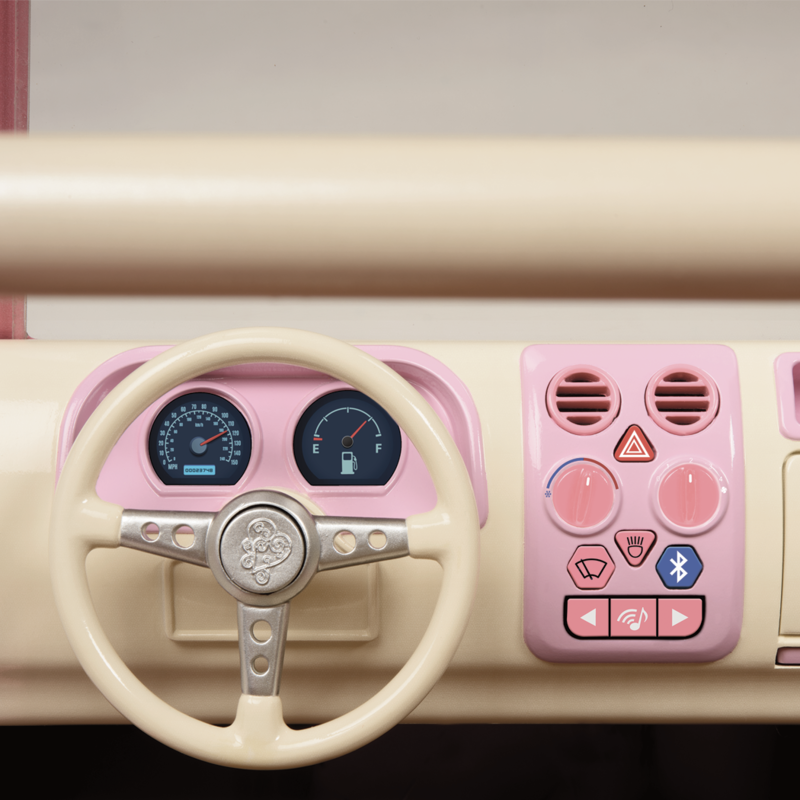 To start playing with your OG Off-Roader 4x4 at home, please make sure the power switch is set to the "Play" position. When you are finished playing, you can turn it to the "OFF" position to help preserve the batteries. Dolls and accessories need to be cared for in a special way. 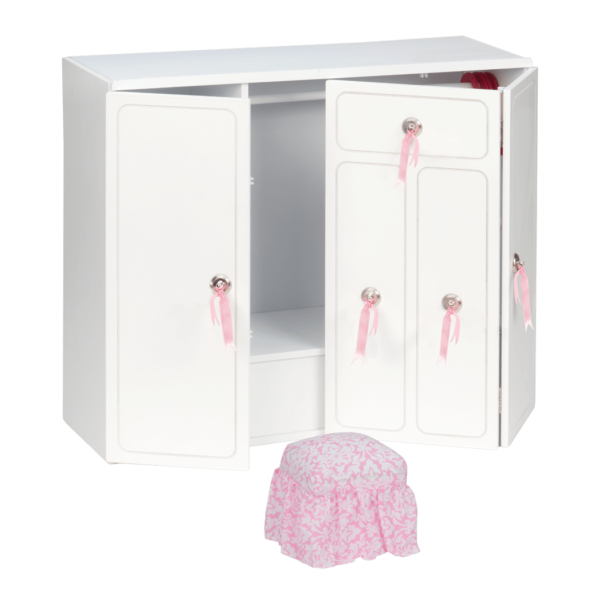 A little prevention can go a long way towards keeping your dolls and accessories nice and tidy for years to come! Since dolls and their accessories can be made of a range of materials, we recommend avoiding commercial cleaners and detergents as those products may damage your product. To clean the surface of any accessory, simply use a damp cloth and warm water. It is also a very good idea to avoid exposing your dolls and accessories to heat sources like direct sunlight, irons, and clothes dryers, especially for items that contain plastics. 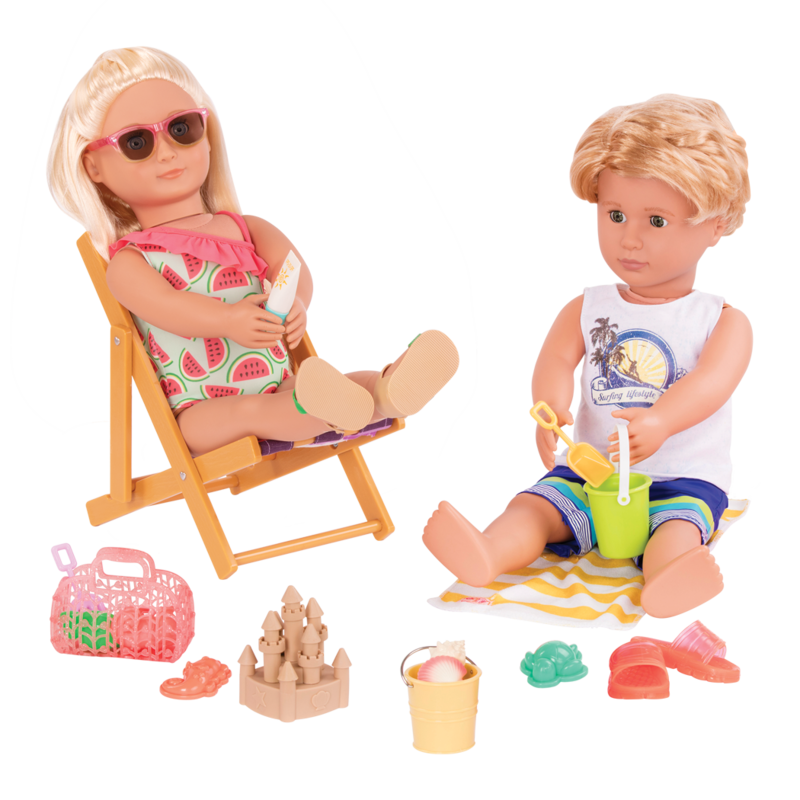 When playing with your dolls, it's important to remember that Our Generation dolls can get damaged if they are left in the sun or heat, and their favorite kind of beach is an imaginary beach! So please take good care of your dolls and don't put them in real sand or in real water.